Subaru of New Zealand has offered 2015 New Zealand Rally Championship (NZRC) winner Ben Hunt the ultimate reward for his victory – the use of a brand-new Subaru WRX STi NR4. Subaru of New Zealand is truly invigorated about continuing its support of talented Kiwi rally drivers. Five-time national rally champion Richard Mason, one of the fastest female rally drivers in the world, Emma Gilmour and 2004 NZRC winner Chris West have all received assistance – either in the form of a Subaru rally car, or parts – from Subaru of New Zealand over the past decade. Hunt will also become a Brand Ambassador for Subaru of New Zealand and says he and his whole team are “super excited” about the opportunity to drive and run the Subaru WRX STi NR4. 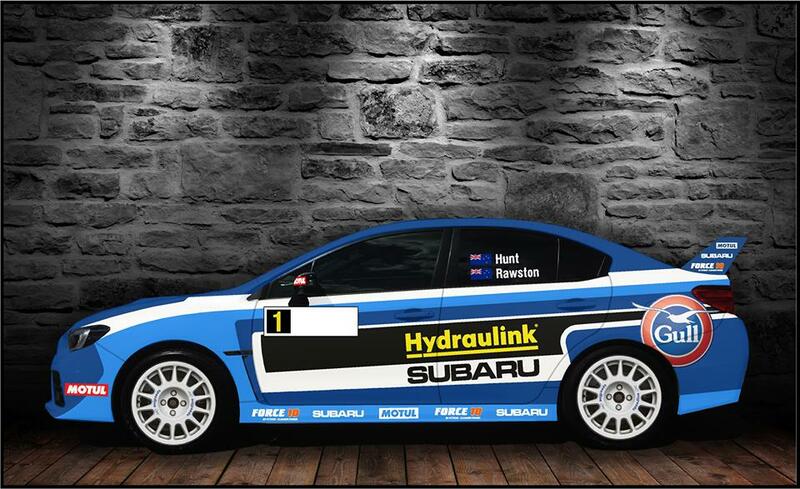 “Working with Subaru of New Zealand is such a fantastic step forward for my rally career. We are really motivated about what next year brings, with the new car, and also around aligning ourselves with the new companies who have pledged support for our 2016 campaign. My 2015 championship-winning co-driver and great mate Tony Rawstorn will be back in the car with me next season and as always I am lucky to have someone of his talent calling my pace notes,” Hunt says. Hunt (27) has grown up around Subaru cars with his family owning various different models throughout his childhood. “There’s only been one brand for us and that’s Subaru. So along with watching Colin McRae, Possum Bourne and Richard Burns driving Subaru Impreza and WRX WRC cars, it is incredible to think that I am now going to be rallying the newest model Subaru. It really is a dream come true,” Hunt says. Hunt’s new Subaru WRX STi is the perfect base palette from which to build on Subaru’s rally success in New Zealand. The sport has benefited from the truly magnificent All Wheel Drive system that FHI (Fuji Heavy Industries) has engineered into all of the Subaru vehicles currently sold new here in New Zealand. Hunt will receive the all new 2015 Subaru WRX STi race prepped, with a roll cage fitted, and from there he will have it prepared to his own specifications. Dressed up smart in its eye-catching livery, this Subaru rally car means business. Produced by STi Motorsport, it has the homologation specifications accepted by the World Rally Championship. “There is a wealth of knowledge within the Ben Hunt Motorsport team and we will be going through various channels to make sure the car is in championship-winning form come the first round at Otago in April next season. We are all passionate about building a superb car and looking forward to working with some top people during the process,” Hunt says. His Ben Hunt Motorsport team will need to fund the six-round 2016 championship and he is incredibly grateful to new backers Hydraulink, Motul oil, Gull fuel and Neil Allport Motorsport for helping to get this Subaru WRX STi NR4 to the first stage of completion. Now the car has been launched, Hunt will talk to all his current sponsors as he hopes they will continue to back him in his bid to win his second consecutive national championship. If he is successful, along with taking home the 2016 rally crown, Hunt will also take ownership of his Subaru WRX STi NR4 rally car. Mr Dumper says Hunt was recognised as an emerging talent when he won the Rally New Zealand Rising Stars Scholarship in 2009. “Thanks to the vision of Rally New Zealand and people like PJ (Peter Johnston), through that development scheme, we have seen Ben progress as a consistently fast but level-headed driver, who can now say he has earned a national championship title. Ben really is a sponsor’s dream – he’s humble, hard-working and grateful for every bit of help he has been offered over the years. Plus he has that magic ingredient of being deceptively fast and smooth, which often is the hallmark of champions given they don’t look fast to spectators but the stage times tell the real story,” Mr Dumper says. 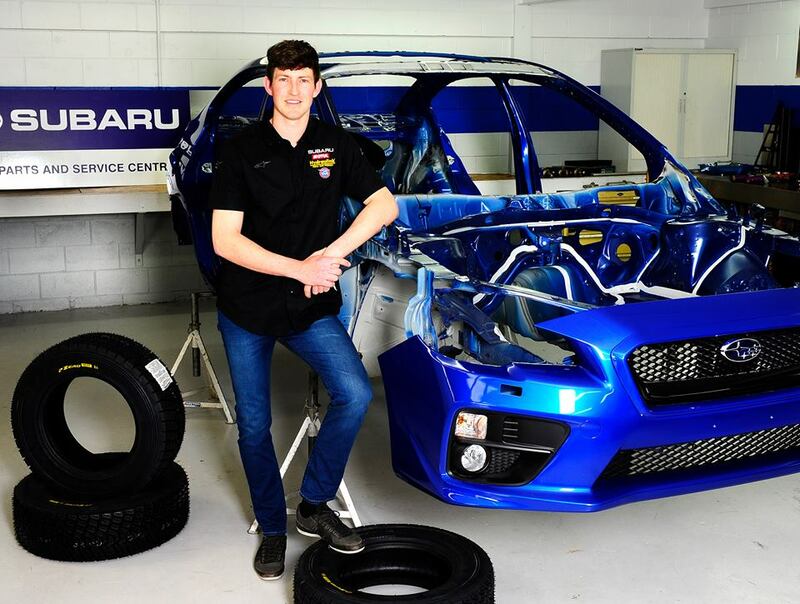 He wishes Hunt well as he plans for his 2016 championship campaign and hopes that other businesses with an eye to getting their brand in front of Kiwis, who are passionate about motorsport, will follow Subaru of New Zealand’s lead and give him a hand. “The fantastic new livery on his Subaru WRX STi NR4 is the perfect place to display your support,” Mr Dumper says. Subaru has had a long and successful rally history – with the New Zealand connection dating back to Possum Bourne securing the Subaru team’s first top result in the 1987 Rally New Zealand, when he was third in the Subaru RX Turbo. But it will be 1990 that people remember as the start of the Subaru rally campaign with the formation of the Subaru World Rally Team – a joint venture between Subaru and Prodrive. The first car to rally under this factory team banner was the Legacy RS, which made its WRC debut on the Safari Rally in 1990, finishing 8th overall. Its best place finish of the year came on Rally Australia when Bourne secured 4th overall. The Legacy’s only WRC victory was to be in the hands of Scotsman Colin McRae in New Zealand in 1993, which was also the last time the Subaru World Rally Team fielded a Legacy on the WRC. After that Subaru became synonymous with rallying through its use of the WRX-based rally car, which became iconic in the motor sport. “With Ben as a Subaru of New Zealand Brand Ambassador, driving one of our purpose-built Subaru rally cars, the whole company is excited about his rallying future. I also hasten to add that we should never forget the vital role the co-drivers/ navigators play in this sport and to all of them we are also eternally grateful. It is great that Ben and Tony are such good mates in and out of the car and we believe that is one of the keys to Ben’s success” Mr Dumper says. The initial livery concept design for Ben Hunt’s Subaru WRX STi NR4.